The Sonos Controller for Android is a free wireless music controller for Sonos. 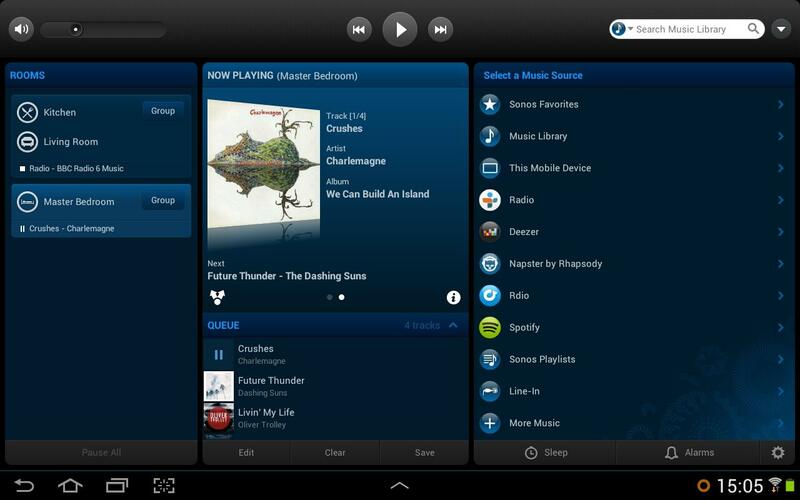 Control all of your music, in every room, from your Android device. Manage your library, the best online music services, shows and podcasts, plus hundreds of thousands of radio stations around the world; to stream through every room in your home. Play a different song in every room or play together in perfect synchronization, while adjusting the individual volume of each player. Use the touch screen or physical keyboard on your Android to pick a room, pick a song, then hit play. Simply link and unlink rooms to play different songs in different rooms or the same song in every room — perfect synchronization. 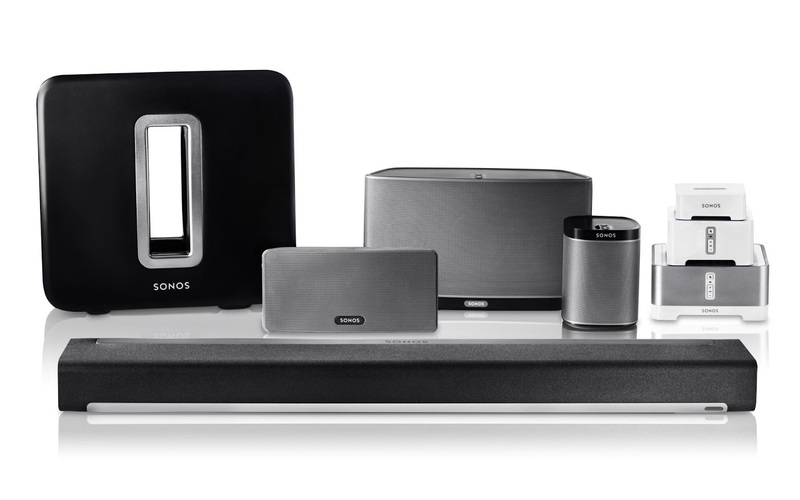 Use with the SONOS PLAY:3 or SONOS PLAY:5 or any Sonos player running v3.8 or higher to enjoy all of your music, in every room. • Use voice search to find any artist, album or track by simply speaking into your phone. • Type on the touch screen or physical keyboard to find your favorite artist, then browse through albums with a flick. • Play a different song in every room or the same song in perfect synchronization. • Control the volume in one room or in all your rooms at once. 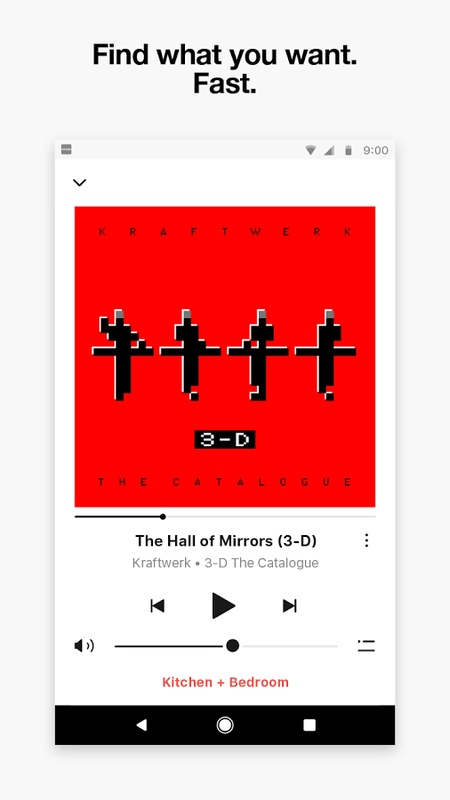 • View full-screen and thumbnail views of album art. • Connects to Sonos over your home WiFi network.